Held once every four years, Taiwan International Textile & Garment Machinery Exhibition. 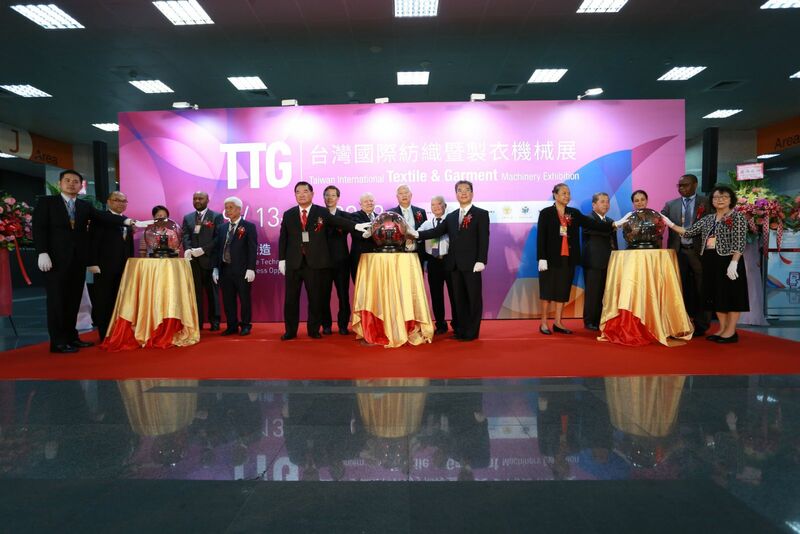 The Grand Opening Ceremony was hold at Lobby J of TWTC Nangang Exhibition Center this morning. The Ceremony guests including President Hsu of TSMA, General Secretary Lok of TGIA, President Tsai of TKIA, President Kong of HKAMA, Vice President Lee of GD Sewing, President PHAM of AGTEK and 16 Foreign Representatives get the show started together.